When you need more power than the average truck can offer, the heavy-duty 2019 Ford F-250 and Ram 2500 trucks are probably high on your wish list. So which is ultimately your best option? Our comparison guide delves into the differences between these heavy-duty pickups. The Ram 2500 is in fact a heavy-duty truck, and this is a segment known for a bit of ride stiffness. However, the Ram's exclusive coil-spring suspension really does a lot to smooth the edges, making it the most comfortable truck in this segment. The cabin is also known for its panache - specifically, its high-quality materials and solid build. When you settle into the driver seat, you can't help but feel comforted and supported. This is the kind of truck anyone could spend hours in, no problem. Like this heavy-duty Ram, the 2019 Ford F-250 offers a range of trim models (six trims for Ford, seven for Ram) that go from pretty basic to seriously upscale. With so many models out there, it's easy to balance the comfort features you want with what you want to spend. 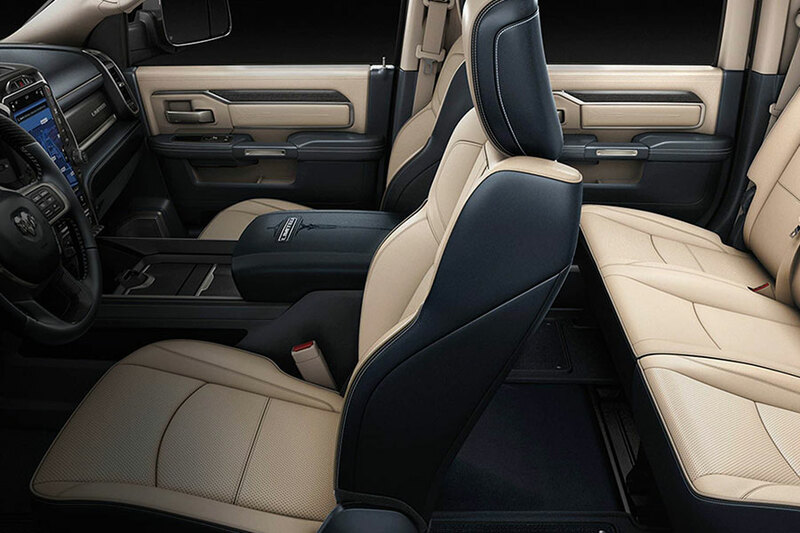 But, although you can add leather upholstery and seat heaters to the F-150, it never quite feels as luxurious as the Ram 2500. Drivers typically turn to the heavy-duty segment because they need to move the kinds of trailers and payloads that lesser trucks simply can't manage. 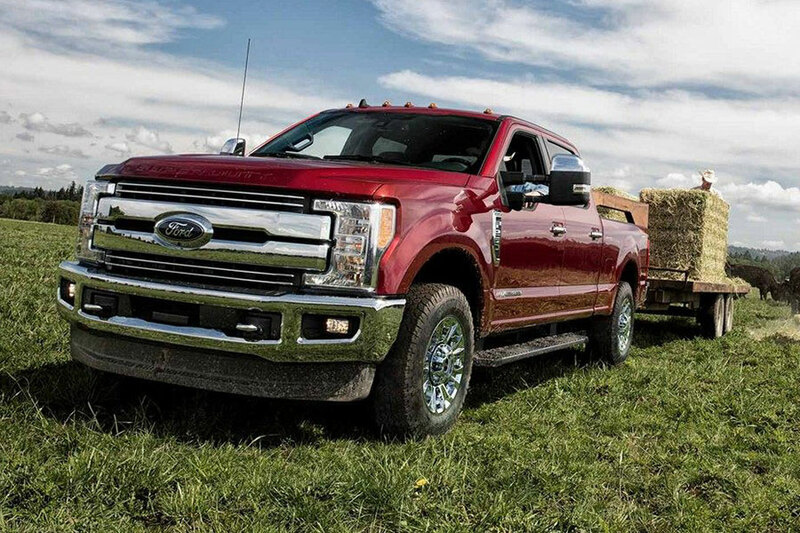 If towing and hauling major weight is your first priority, you need the F-250. Properly equipped, this Super Duty truck is capable of towing up to 25,000 pounds. It'll haul huge farming machinery as easily as a four-horse trailer. Drivers with heavy equipment to haul can load up the bed with up to 4,332 pounds, depending on body style and equipment. The 2019 Ram 2500's hauling capabilities follow close behind, maxing out at 3,990 pounds. It tows max loads of 17,980, which is also pretty good. However, drivers that need that extra push will have to turn to the F-250. Ford leads the way in work-friendly technology. Options like the surround-view cameras help you line up a trailer and navigate a crowded worksite. There's even a camera that will display your cargo bay, so you can keep an eye on items as you travel the highway in a windstorm. Ford's blind-spot system is adjustable, so it can take the length of a trailer into account. Now when you're towing heavy loads, it's much easier to switch lanes safely. The new Ram 2500 also has some tricks up its sleeves, if not quite as many. Its automatic emergency braking system, for example, can help this heavy truck pull up short of danger. Like the F-250, this heavy-duty Ram truck offers visibility boosters like a rearview camera and LED headlights. 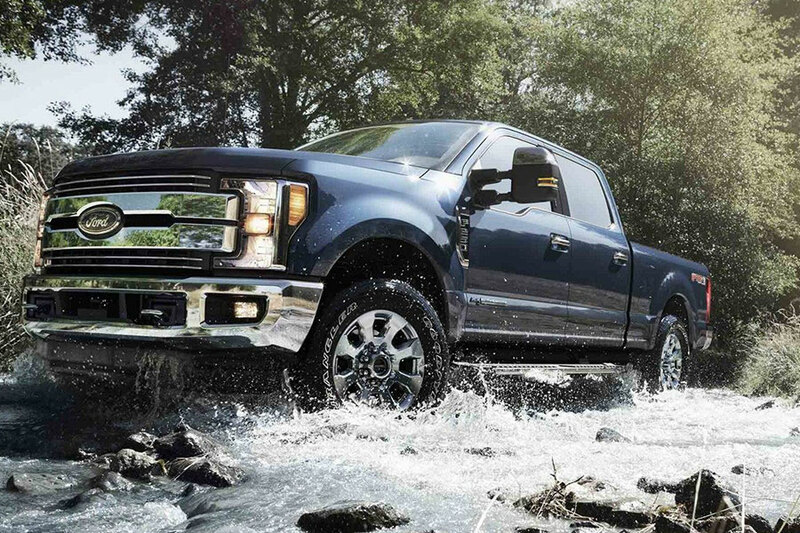 For a heavy-duty truck, the F-250 excels in the off-road adventure department. Just add four-wheel drive to yours and get ready to hit the trail in style. It might be a heavy-duty truck, but it feels relatively nimble over rugged terrain. In true rugged fashion, the Ram 2500 also offers four-wheel drive. You can definitely say that it's capable away from the pavement. But, while it feels smoother on the pavement than its Ford counterpart, this Ram just isn't quite as agile as it moves through sand, snow, or mud. The heavy-duty 2019 Ford F-250 and the Ram 2500 give drivers a lot of performance advantages over full-size models. However, the F-250 has the most advantages. It's the truck you want when you've got to haul serious weight. 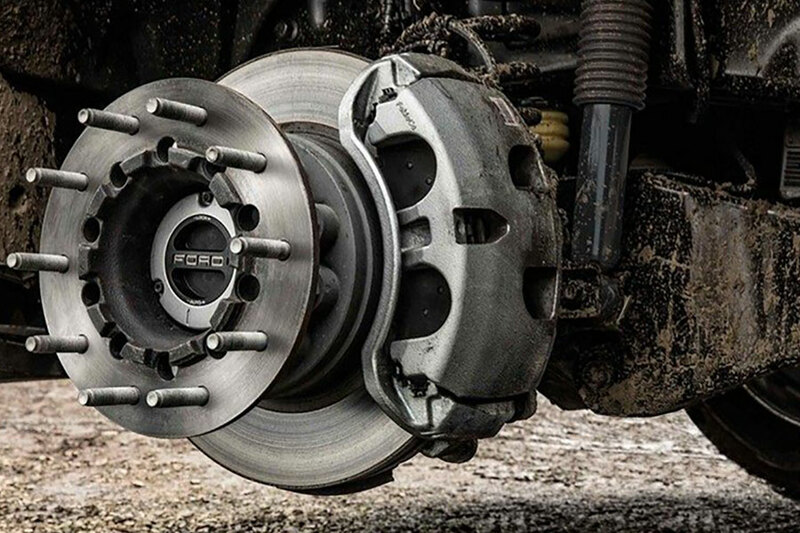 And it even takes you on an off-road adventure once in a while.